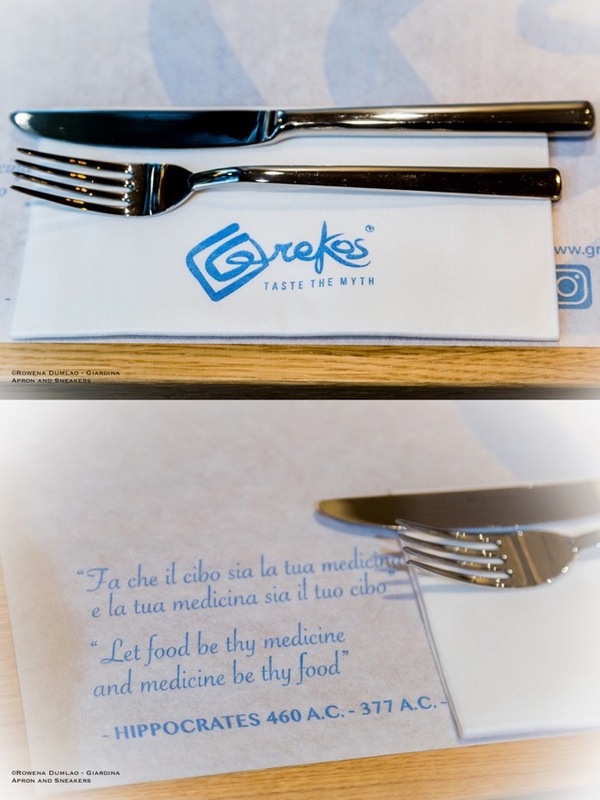 Grekos dedicates its theme to modern, young and healthy approach in creating its dishes but still links strongly to the Greek tradition. 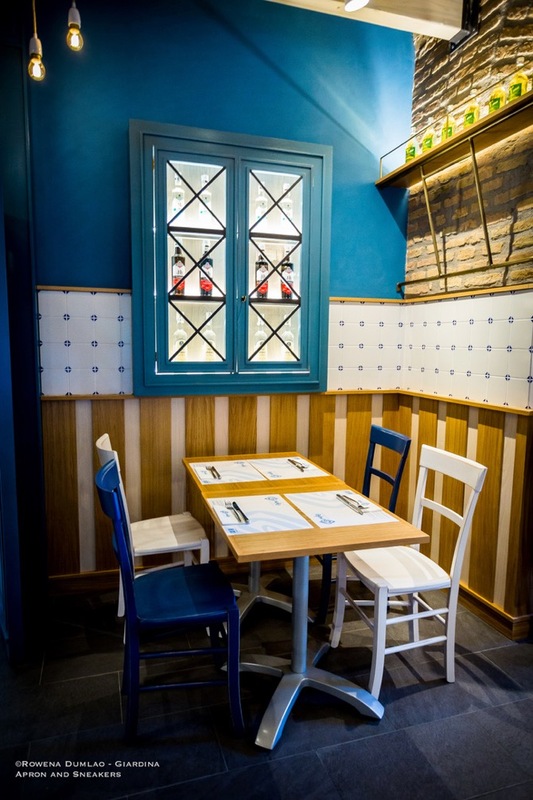 The raw materials used are high quality products imported directly from Greece plus fresh ingredients from Italy like the fruits, vegetables and certified Italian meat. 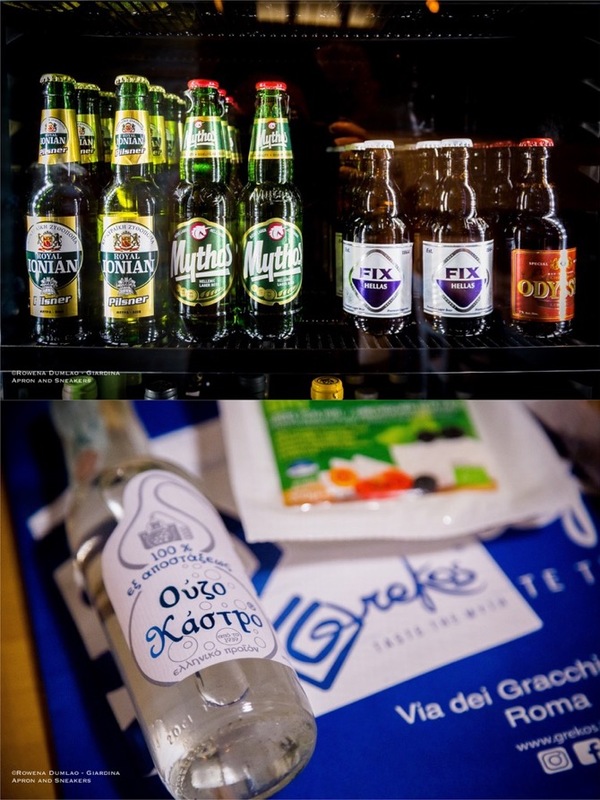 For drinks, Mythos beer is available on tap as well as other brands of unpasteurized and unfiltered beer. 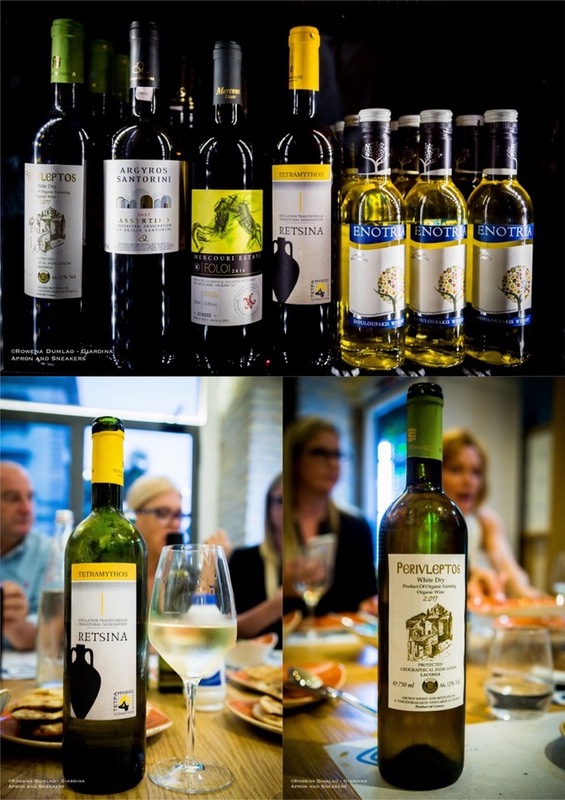 A range of organic Greek wine is also available as well as their famous Retsina, a resinated wine with the addition of Aleppo pine resin to the must during fermentation which has been in practice for thousands of years in Greece. 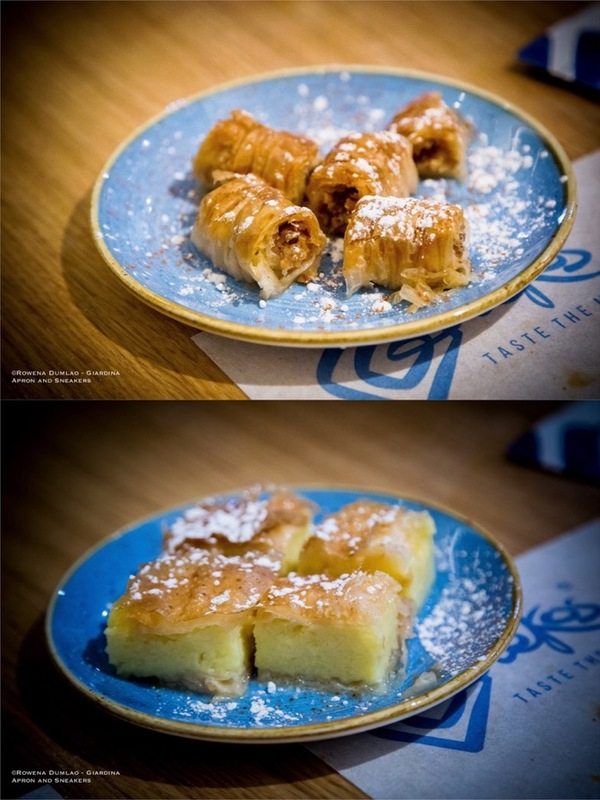 Grekos pays particular attention to quality so the producers that they choose are small and quality-oriented. 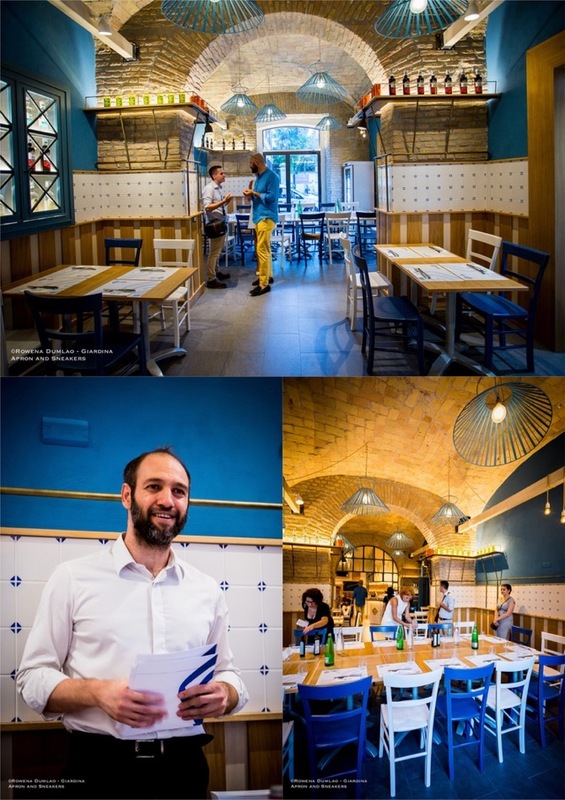 The place which can accommodate forty both inside and outside, reflects a laid-back atmosphere where service is quite fast and easy, where genuine Greek food is the protagonist. The prices are very reasonable too and with the very good quality of the food that they offer, you get a lot from your money's worth. The menu has very interesting proposals from starters dessert. 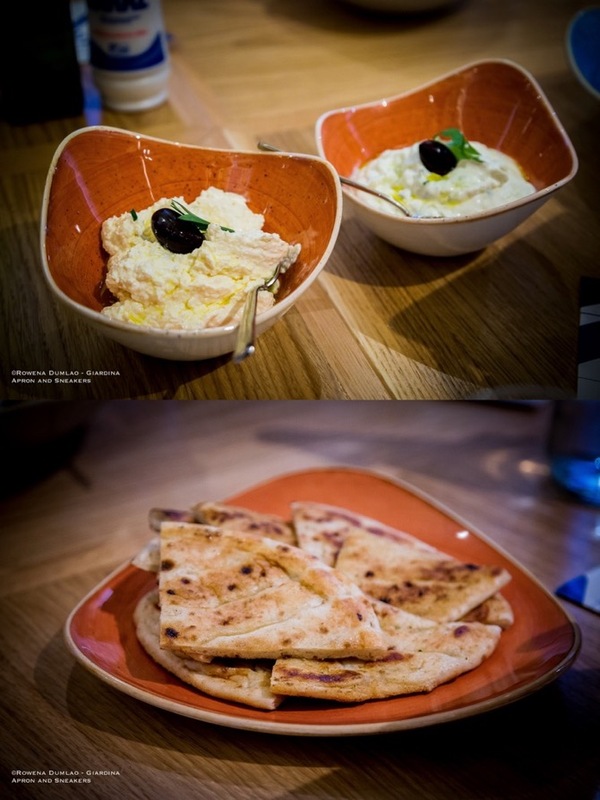 A serving of Pita Bread costs €1, while three kinds of Greek sauces (€5.50 each) are available too: Tzatziki (Greek yogurt, garlic and cucumber sauce), Melitzanosalata (aubergine sauce) and Tirokafteri (spicy feta cheese sauce). 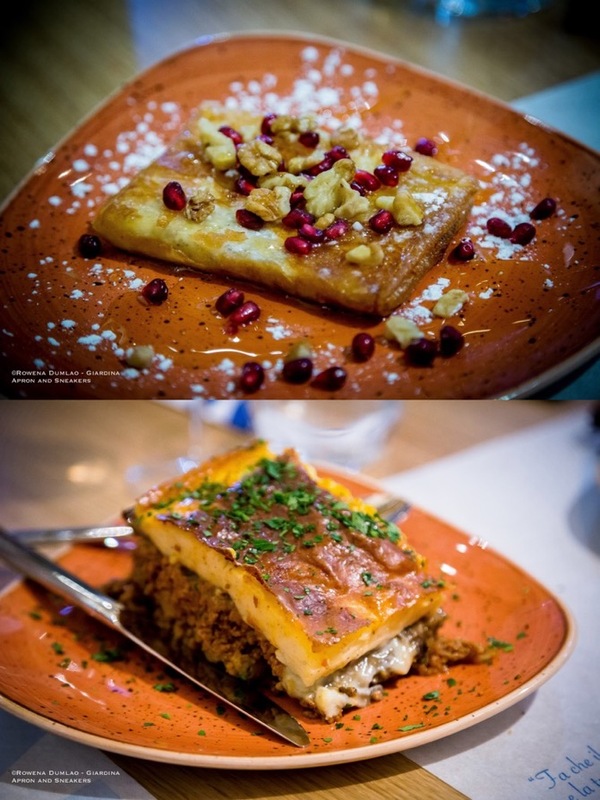 Quite a delicacy is the Feta Tiganiti (€8) which is pan-fried feta cheese wrapped in phyllo dough topped with walnuts, pomegranate and honey. 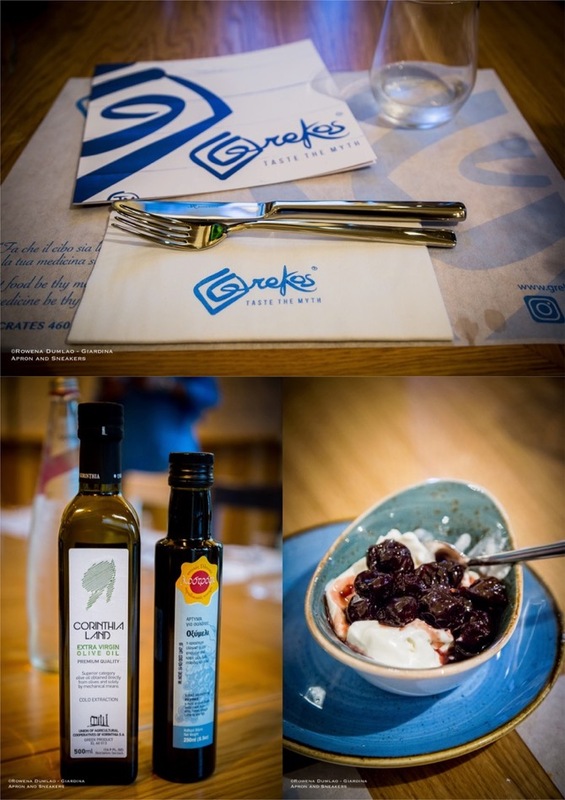 Kalamata Olives (€4.50), potatoes mixed with feta and herbs, Patates Grekos (€5.50) or Patates Tiganites (€4.50) which are potatoes with Greek sauce, are also available. 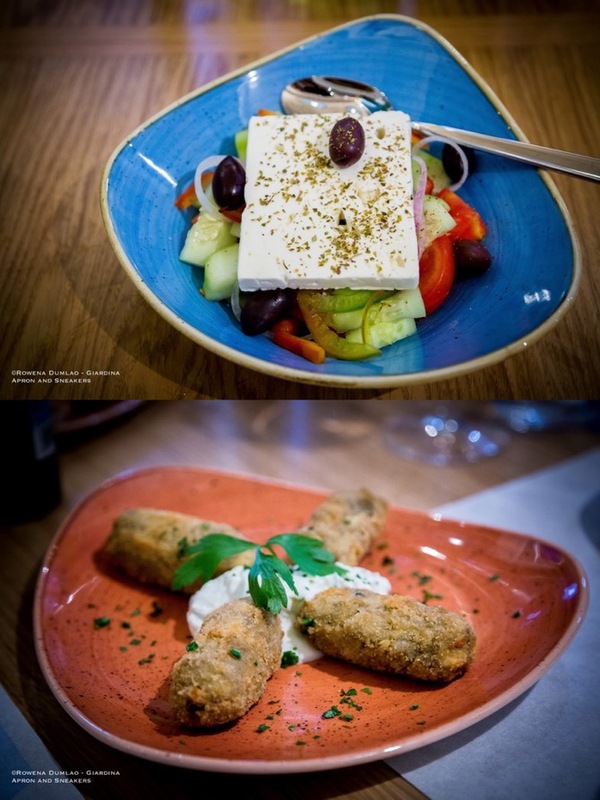 There are three kinds of croquettes (€7 each kind): Zucchini, Aubergine and Chickpea Croquettes served with Tzatziki. 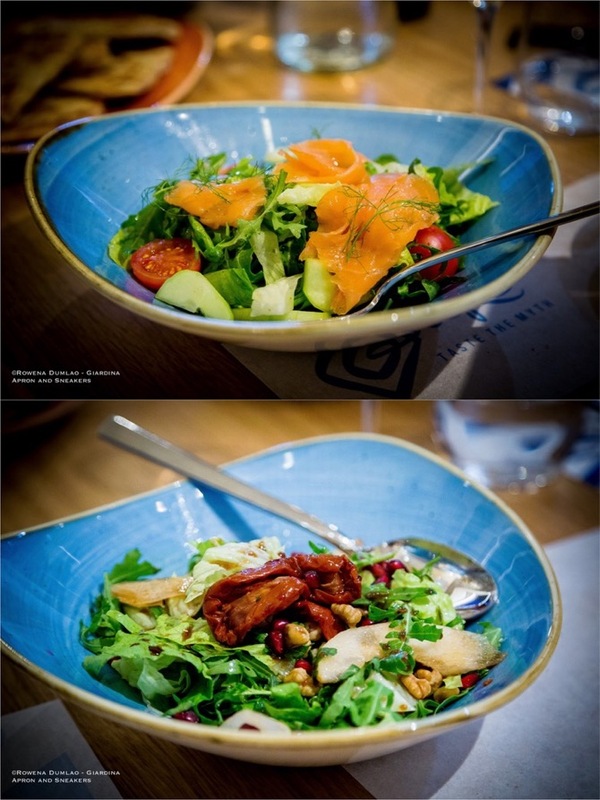 Salads with ample ingredients are also perfect light meals like the Grekos (€9.50) with smoked salmon, Mykonos (€8.50) with pears and a more classic Greek salad which is Choriatiki (€9). An absolute treat is the Mousakas (€11), a potato flan with layers of aubergines, minced meat and bechamel sauce. They also have a Mousakas Vegetariano (€11) wherein the meat is replaced with zucchini. 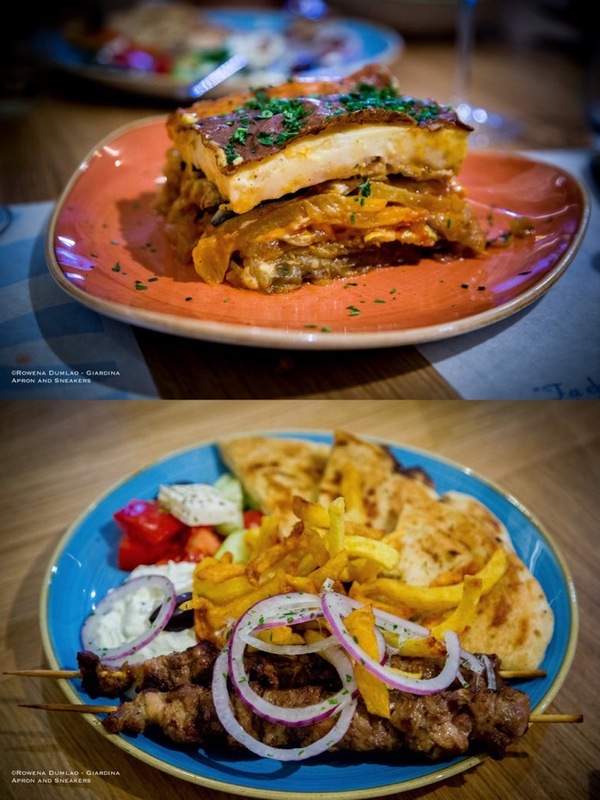 The other meat dishes are also delicious and quite filling, all served with pita, fries, Greek salad and Tzatziki (€13 each dish): Souvlaki, pork skewers or Kotopoulo, grilled chicken slices or Hirino, grilled pork slices. 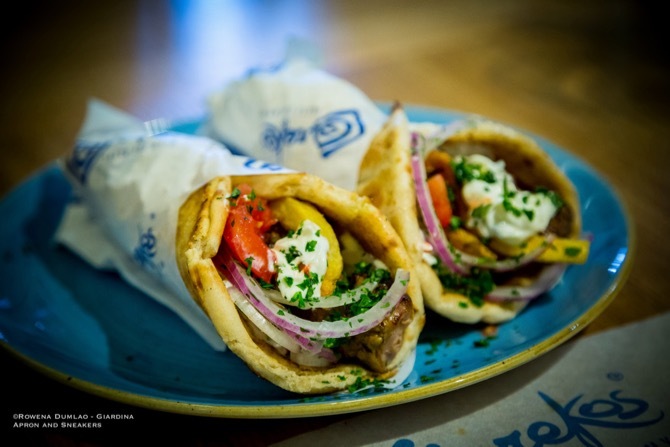 For easier options, there is also a range of pita sandwiches (€6.50 each) or to make it a complete meal, add an order of fries and sauce at €10. 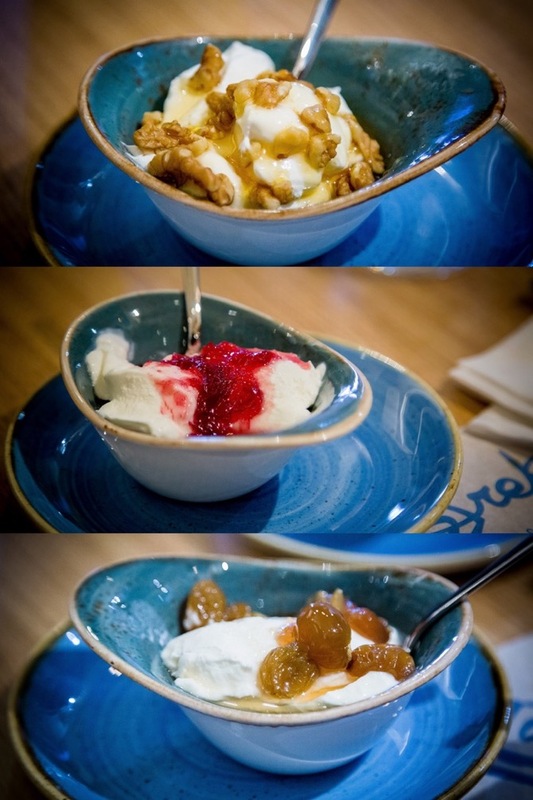 The desserts are all priced at €5 with options of Baklavadakia made with phyllo dough, walnuts and almonds; Galaktoboureko made with phyllo dough and semolino cream; or a range of Greek yogurt topped with rose petal jam, black cherry jam, grape jam and honey and nuts.